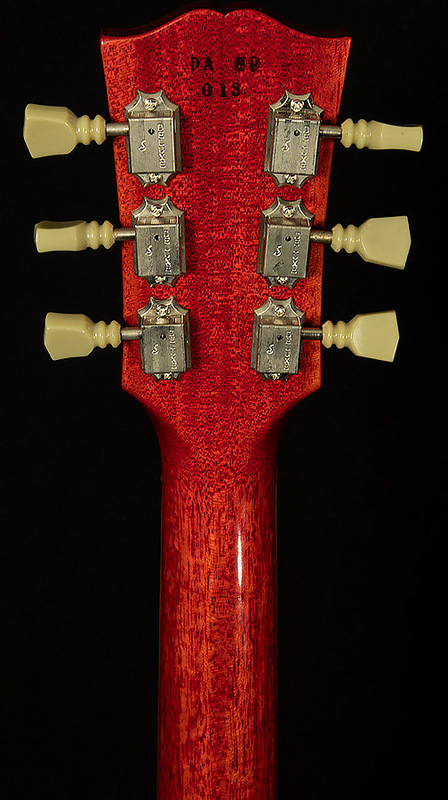 Great condition with some bleeding into the binding and also some finish disruption on the back (see photos). Includes the original hardshell case and dust cover. The COA is NOT included. During Duane Allman's short life and career, he created a legacy to inspire generations of musicians. 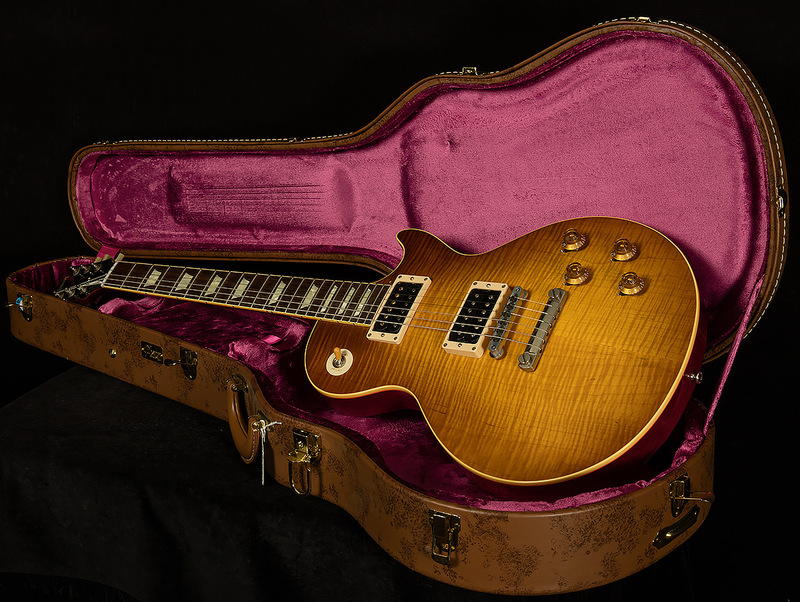 In the brief period of time it took him to cement his legend as one of the greats, Duane's guitar collection seemed like an ever-changing cast of Gibsons either traded or borrowed. 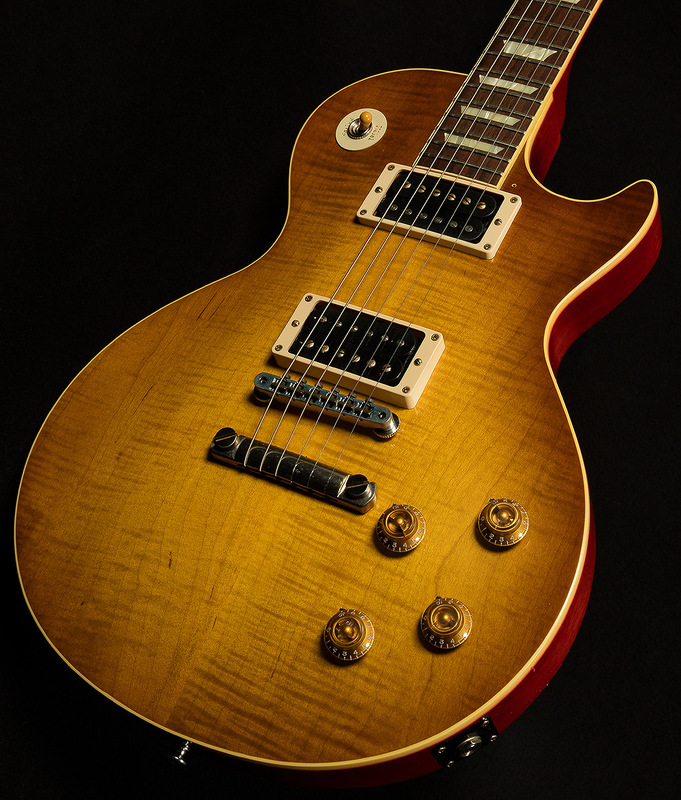 When Gibson Custom decided to recreate his '59 Les Paul, unprecedented time and effort was taken to extensively research its history. 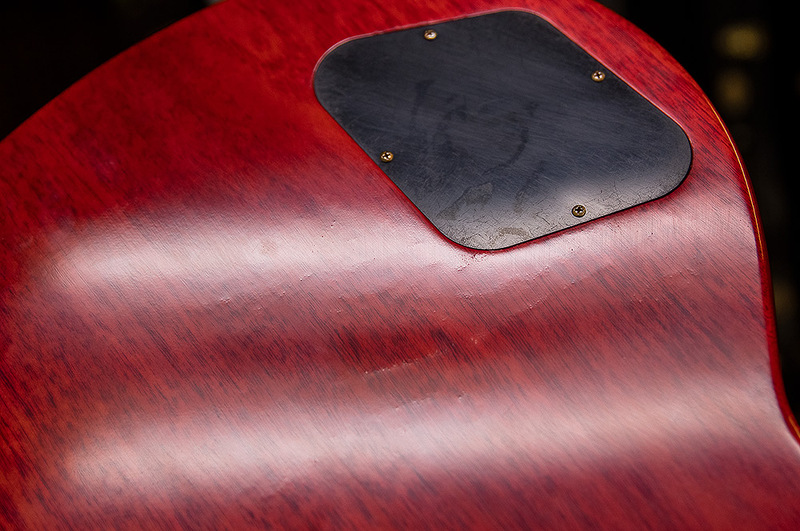 What was uncovered is a fascinating story of what is proven to be Duane's most heard guitar. 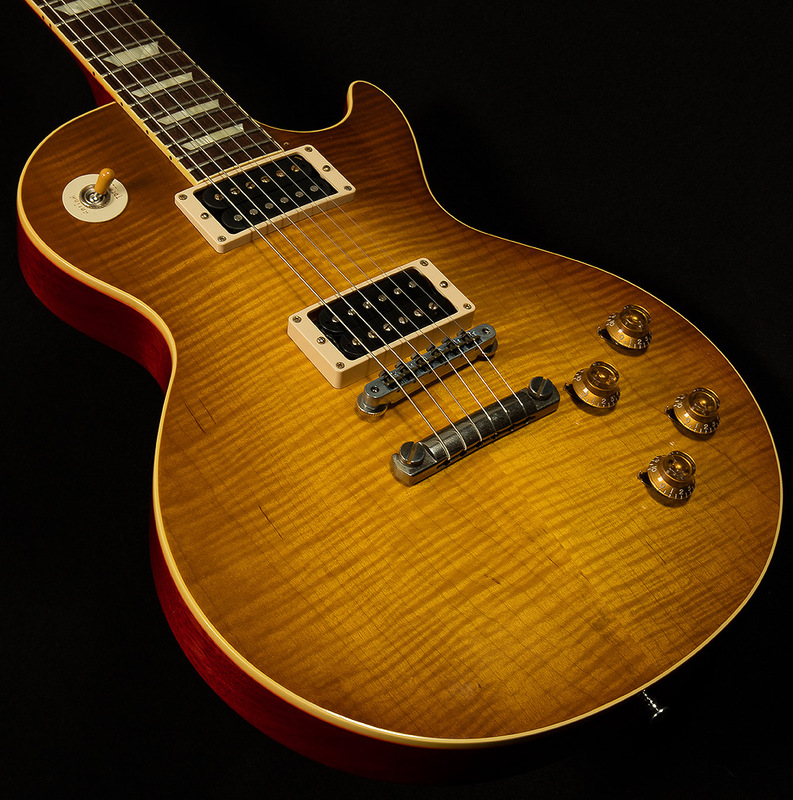 Through a very limited run of guitars capturing the precise look, feel and tone of the original, Gibson Custom presents the Duane Allman Cherry Sunburst '59 Les Paul! 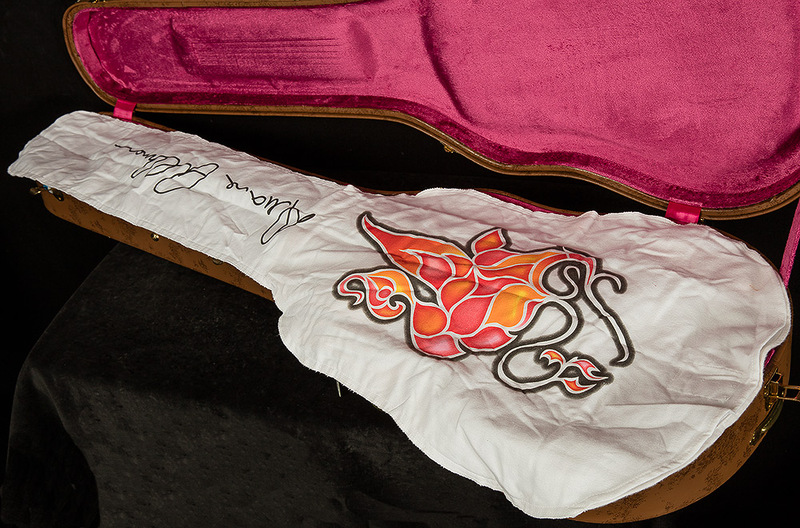 In addition to the guitar, a very special package of commemorative items are included to make ownership a lifelong memorable event for the few who will have the pleasure of calling them their own. 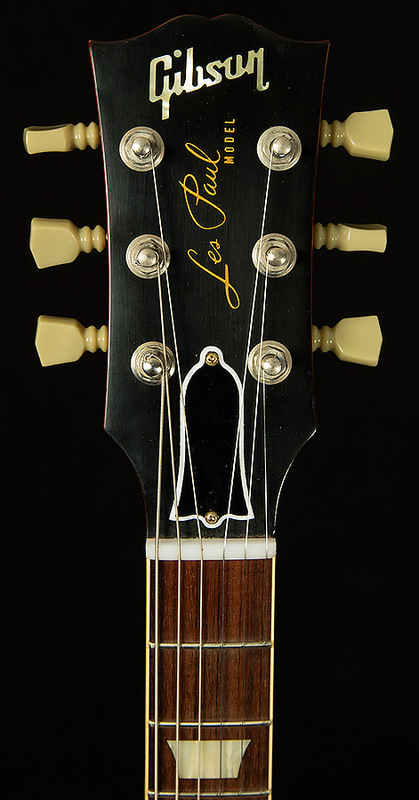 Documentary Video Featuring Lee Roy Parnell (USB Drive), Dust Cover, Delta slide bar.